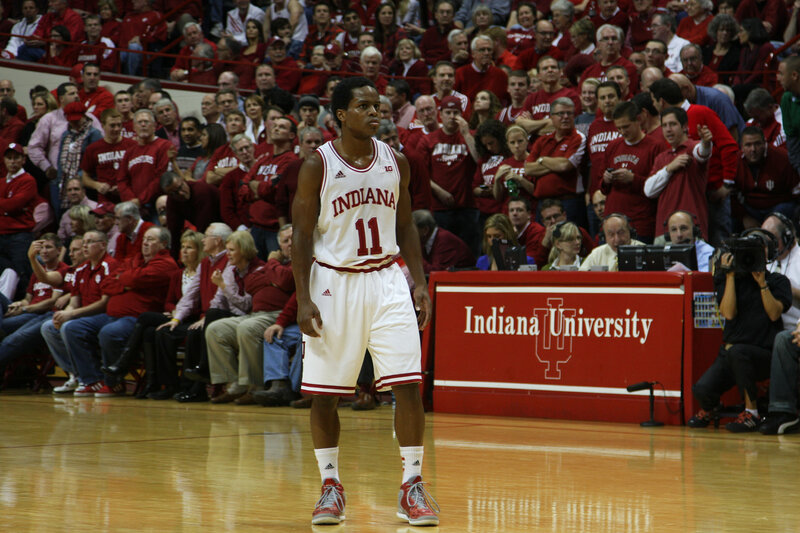 Barracking for the Indiana Hoosiers can result in an uneven experience. I can’t even remember why or when I started hoping they would win. As an Australian, we rarely have any tangible connection with American College Basketball. It was probably a combination of reading the World Book Encyclopedia Year Book for 1987 (which had the Keith Smart corner 3 vs Syracuse), reading old copies of Sports Illustrated in the Dakabin S.H.S library (filled with the exploits of those magnificent Hoosier teams and increasingly controversial stories about The General) and watching the movie Hoosiers (which confusingly has nothing to do with the Indiana Hoosiers Basketball team). That was way before the internet. All the Basketball nerds swapped well read magazines with each other to get our news. I don’t recall watching a College Basketball game on TV until well into the new millennium. That didn’t stop us wearing shirts underneath our Basketball jerseys in the early nineties which was the style at the time. We’d seen the pictures. I’d missed out on the golden era of Indiana Basketball. My experience was a long series of controversies. From the end of the Bob Knight era into the pressure filled Mike Davis years punctuated by that magic tournament run in 2002 with Jared Jeffries, Tom Coverdale and Dane Fife. The short-lived joy of the Kelvin Sampson era followed by the recruiting scandals. The early days of Tom Crean, when the program was stripped back to nothing. That was particularly bleak. The last 5 seasons have been much, much better with 4 NCAA Tournament appearances and 2 Big Ten titles. For the uninitiated, the Big Ten Basketball Conference now has 14 teams. Go figure? Jonathan Tjarks from the Ringer wrote a great story on OG Anunoby which really stoked the fires for me (followed up by 2 other great articles by Mark Titus here and here). I’ve got to be honest with you, even though I check every Hoosier’s box score, I’d probably followed more NBA in 2015/16 than College Basketball, NCAA Tournament notwithstanding. I was a moth to the Warrior’s flame for probably 2 solid seasons with Andrew Bogut an obvious draw. Nearly everyone in Australia gorged on the Jarryd Hayne/San Francisco 49ers thing as well with Ben Simmons at LSU diverting most of my College Basketball attention. I admit it. I was binging on the Australian connections, a rarity before the new millennium but now commonplace. It was in that state of mind that I found myself watching Indiana vs Kansas earlier this month. It was a game for the ages. It could easily have been billed Frank Mason III vs James Blackmon Jr, which sounds more like a Heavyweight Boxing fight. Ironically, it was punch and counter punch. It was Kansas up then Indiana up. There were 16 ties and 17 lead changes. There were young stars with significant upside like Thomas Bryant and OG Anunoby. There was endless speculation about what Bill Self was thinking and whether or not he would prefer to win or lose that game. Above all, it was a NCAA tournament quality game and it was only the first game of the season. Needless to say, this is the most excited I’ve been about College Basketball for a long, long time. I will be watching more. New Zealand vs Pakistan. Great test cricket. Australia vs South Africa. Ditto. The third test at least. Jason Taumalolo and Valentine Holmes. Don’t know if they are serious about the NFL but given their age, it would seem a more likely option than it was for Jarryd Hayne. Plus Hayne has already opened U.S eyes. Still a hard road with no background in the game. Watching Andrew Bogut and Harrison Barnes running around for a 3-13 Mavericks squad while the Warriors are cruising at 16-2. Enjoying the Warriors still. Next exciting episode will be on Friday, 9 December 2016 titled ‘Is the NFL really a threat to the NRL?’. This entry was tagged Australia, Basketball, College Basketball, Indiana Hoosiers, United States. Bookmark the permalink.